This patient care coordinator sample job description can assist in your creating a job application that will attract job candidates who are qualified for the job. Feel free to revise this job description to meet your specific job duties and job requirements. Provides coordinated care to (age-specific) patients by developing, monitoring, and evaluating interdisciplinary care. Orients and educates patients and their families by meeting them; explaining the role of the patient care coordinator; initiating the care plan; providing educational information in conjunction with direct care providers related to treatments, procedures, medications, and continuing care requirements. Develops interdisciplinary care plan and other case management tools by participating in meetings; coordinating information and care requirements with other care providers; resolving issues that could affect smooth care progression; fostering peer support; providing education to others regarding the case management process. Monitors delivery of care by completing patient rounds; documenting care; identifying progress toward desired care outcomes; intervening to overcome deviations in the expected plan of care; reviewing the care plan with patients in conjunction with the direct care providers; interacting with involved departments to negotiate and expedite scheduling and completion of tests, procedures, and consults; reporting personnel and performance issues to the unit manager; maintaining ongoing communication with utilization review staff regarding variances from the care plan or transfer/discharge plan. Evaluates outcomes of care with the interdisciplinary team by measuring intervention effectiveness with the team; implementing team recommendations. 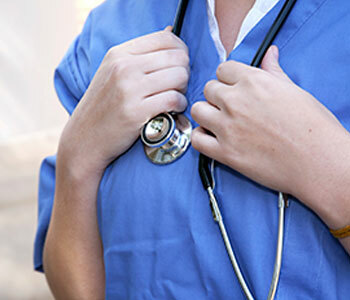 Complies with hospital and legal requirements by fostering nursing practices that adhere to the hospital's and nursing division's philosophy, goals, and standards of care; requiring adherence to nurse practice act and other governing regulations. Protects self, co-workers, and patients by following policies and procedures to prevent the spread of bloodborne and/or airborne diseases. Respects patients by recognizing their rights; maintaining confidentiality. Maintains patient care database by entering new information as it becomes available; verifying findings and reports; backing up data. Job Seekers: Search Patient Care Coordinator Jobs and apply on Monster now.